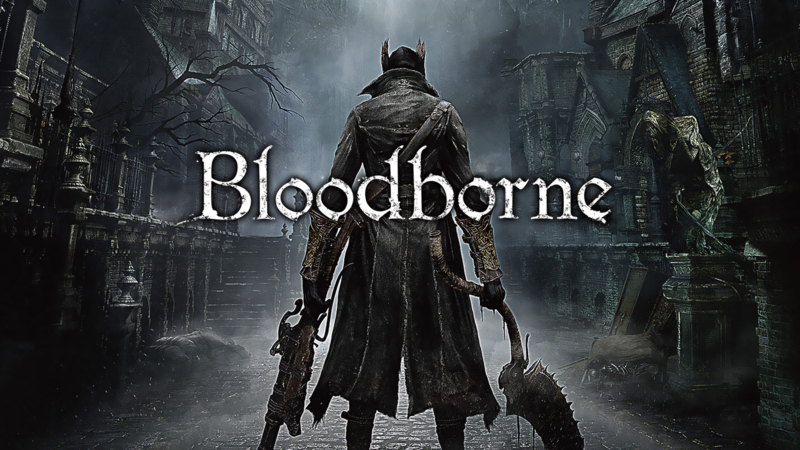 So this week’s video game science post is going to deal with Bloodborne. No real spoilers in this but a little clarity given to the plot so if you want to go into the game blind then maybe come back to this when you’re a few hours in! If you aren’t aware, this game is not for the faint hearted. It isn’t just a bit gross, we’ll get to that soon. It’s also painfully difficult in places! Just like its Dark Soul counterpart, Bloodborne follows the traditions set by From Software in Demon’s Souls. The combat is amazing but you need sharp reflexes to time your dodges, parries and counters. If you don’t get to grips with the controls quickly then you’ll soon have the blood coloured ‘YOU DIED’ burnt into you retinas and mind. Back in the day when I’d played Demon’s Souls I’d rage quit a few times before finally having the patients to sit and grind up to a level that I could manage the game at. This experience did give me a bit of a heads up for what Bloodborne would have in store. If you haven’t played any of the souls games and are planning to I would definitely recommend it, but remember patience is a virtue! As mentioned, Bloodborne isn’t a happy world to delve into. Essentially people have been meddling with blood magic all with the goal of forwarding the human race. The idea is that unlocking the secrets of the old gods will allow mankind to transcend and become higher beings. As you might have guessed this doesn’t go to plan (I mean when has blood magic ever gone well in games… *cough*Dragon Age*cough*). To be fair it starts off well. An organisation called the Healing Church is formed and they use the result of research on different types of blood to develop methods of healing people via blood transfusions. Now we’re not just talking helping people who have lost a lot of blood in an accident. We’re talking healing wounds in a flash, keeping disease at bay and generally making people stronger than they would otherwise be. This leads to people drinking blood like it’s going out of fashion. A bit weird but not as bad as it got next. An ancient creature had been found buried in the earth and as it still had some blood in it. This blood had been used in research by the healing church and this was the source of all the great benefits of blood drinking. The slight side effect that came to light later was people starting to turn into monsters… Not ideal for sure but it certainly gave more work to the hunters and what’s not to like about a good strong economy? This is pretty much where the game kicks off. The player wakes up in a clinic after an accident that has caused you to lose your memory (come on now, what RPG is complete without a bit of amnesia?). You’ve been pretty hurt but luckily the nice locals are giving you a blood transfusion to fix you right up. The treatment works and you’re back on your feet before you know it, however you’re now also seeing monsters coming out of the floor… From this point you go around killing beasts, crazies and generally getting blood everywhere. We’ll eventually get to our theory of what’s actually going on in this never ending nightmare (which conveniently takes place in a never ending night) but first let’s look at how crazy people in the game are for transfusing blood left right and center! The really short answer is: not that crazy actually. It’s also worth pointing out that the scientists in Bloodborne are a damn sight faster workers than some scientists in real life. So in the real world we’ve been messing around with blood transfusions since 1628. They weren’t particularly successful and led to a lot of deaths but they were certainly being done. 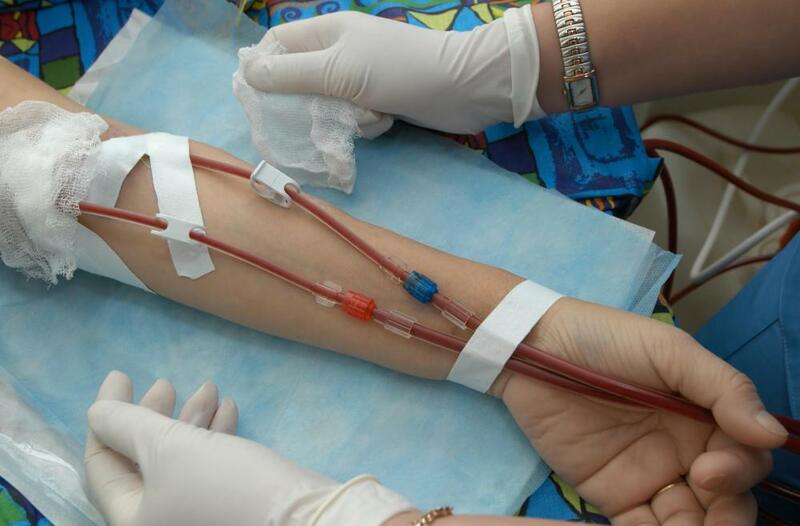 These days blood transfusions are pretty widely used and very effective. The main thing people have to look out for is contaminants in the blood being used and that the blood is the right type (both things that people back in the 17th century didn’t really know much about). You’ve probably heard blood types mentioned lots and you might even know your own blood type. What you might not know is that the difference between blood types is basically just the proteins on the outside of the blood cells. These proteins are sort of little structures sticking out of the cells and are used as flags to let your immune system know that they’re part of you and not microbes trying to eat your insides. 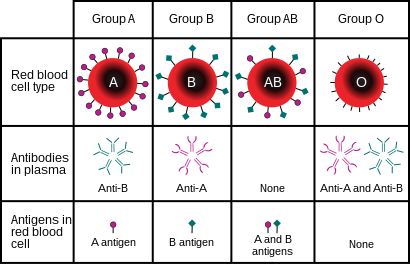 Depending on your blood type you will have different shaped proteins sticking out. Your immune system will be trained to recognise the shape of the proteins that your blood cells show and so don’t attack them. Because of this, you can only receive blood transfusions of blood of the same type as yours (or universal donor blood but the name pretty much explains that). 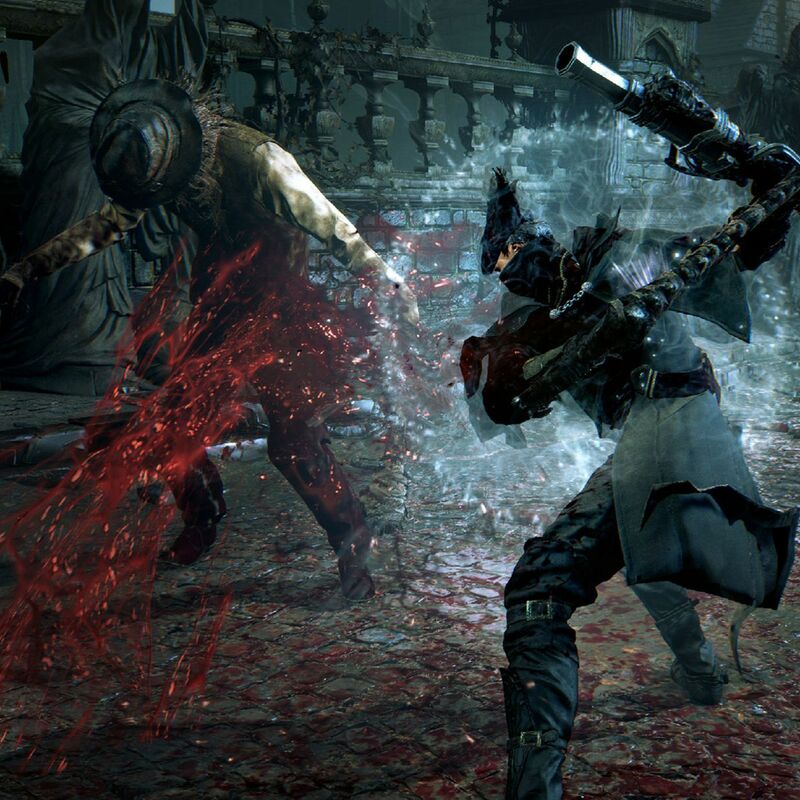 If you have blood of a different type in your body then your immune system attacks it and that can make you pretty ill. It’s a little unclear if the people of Bloodborne know this but what they are ahead of us in is their knowledge of just how good blood can be for you. Feeling old, feeling tired, feeling weak? Have a blood transfusion from someone young and feel a million dollars before you know it! Sounds fake, but actually seems true! 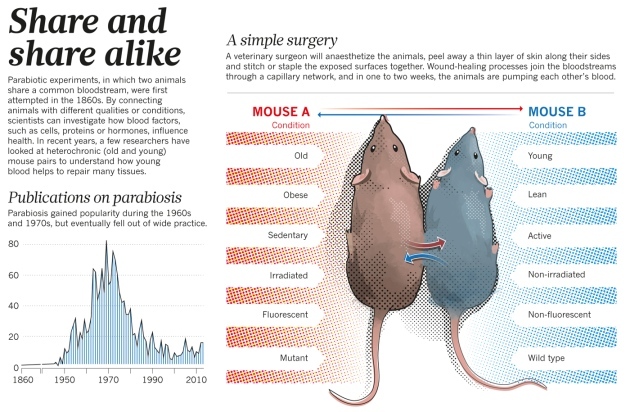 Recent scientific studies at Stanford University have shown that stitching an older mouse to a young mouse, so that they share blood, results in the old mouse becoming rejuvenated. Yes you did read that right. Scientists have stitched mice together so they’re sharing blood. The process of connecting up blood vessels like this is called parabiosis and has been done for over a century. And to think we started this post saying Bloodborne was a bit gross… Scientists are also fairly convinced this isn’t a mouse only miracle cure. There are companies giving blood, taken from under 25s, to over 35s right now and looking to see if they end up younger. There are also trials being undertaken to see if the symptoms of Alzheimers can be treated with blood transfusions. Hopefully one day both your body and mind can be kept healthy with a quick blood meal. Now you might be thinking this is crazy vampire blood magic. But there is science behind the work. Admittedly there isn’t a great consensus for why blood transfusions from young people have these effects, however there are some pretty good theories supported by data. Oxytocin is a hormone that is found in high concentrations in the body when people are young but quickly decreases as you age. This hormone has been identified as one of the factors circulating to the older subject and triggers stem cells to become new muscle cells. You could say that it gives you the strength of youth! GDF11 is another factor that has been highlighted and linked to the formation of new muscle allowing organs like the heart to also function better. There are other factors that have been identified and are being explored further to see what they are doing to the body of the older subject to rejuvenate it. The interesting thing to note here is that having enough of these factors in the body could lead to the extra strength shown by the characters in Bloodborne. So keep your eyes peeled for Coke Blood hitting shelves near you one day to make all your aches and pains go away! The interesting thing about Bloodborne is the fixation on babies and menstrual blood. Some of this is just theory, but if you’ve played the game you’ve probably seen the same hints we have. The fact that women are used as Blood Saints exclusively and so provide much of the Healing Church’s blood supply. The fact the moon cycle is emphasised so much and an area is called ‘Nightmare of Mensis’ also add to the theory. Basically a lot of attention is given to specific blood. There are lots of theories out there on the internet that suggest the blood you use to level up is menstrual blood and taking the science we’ve highlighted in this post, it does seem pretty likely that the characters are just having any old blood. The slight difference in our theory is around the source of the blood that everyone’s taking. We think the ‘old one’ that was used by the Healing Church to make the miracle blood wasn’t actually that old. In fact we think it was a baby one and so full of lots of good hormones and other factors. The Blood Saints are being used as replication factories to make more of it and likely mixing it with human baby blood makes it even more potent. That then explains the obsession with babies in rituals though whether the baby blood actually makes the blood more potent or just more likely to be accepted in people (think back to the blood type explanation) is a very interesting question. We hope you enjoyed that look at Bloodborne and the realness of boosting people via blood transfusions. Stay tuned for more posts every week and follow us on Twitter and Instagram at @TeaTimeSci for more science! As always leave us comments or get in touch with your thoughts or requests for future posts.